Today we’re heading east to Yuu Kitchen in London’s Commercial Street. It’s the road that runs north to south from Shoreditch High Street to Whitechapel High Street though the East End district of Spitalfields. Carved out of slums in the mid-19th century it was soon made notorious by Jack the Ripper and is home to The Ten Bells pub where The Ripper is thought to have partaken in a drink or two. At the other end of the spectrum you’ll find Christ Church Spitalfields, Nicholas Hawksmoor’s Baroque masterpiece. Until pretty recently the street was mainly known for its street walkers, but that’s all changed. Now it’s emerging as a great place to eat and drink with its markets and plenty of bars, coffee bars and restaurants to choose from. 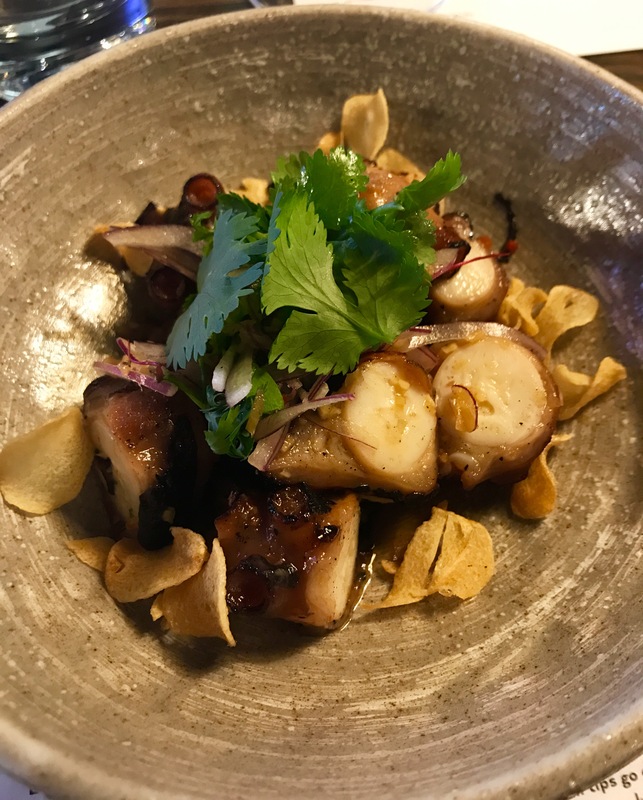 Yuu Kitchen opened late last year and serves food inspired by the flavours of South East Asia and the Pacific Rim. Some of my very favourite flavours! 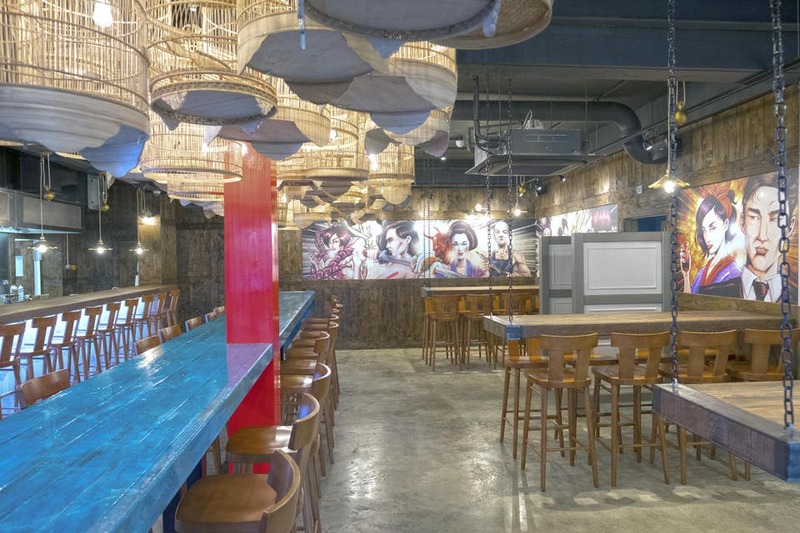 It’s a bright contemporary space with counter seating and walls decorated with vibrant pop art. The menu is divided into sections entitled: Bites, Crunch, Grill ‘n Wok, Fish and of course Bao. There’s a selection of small plates to share. 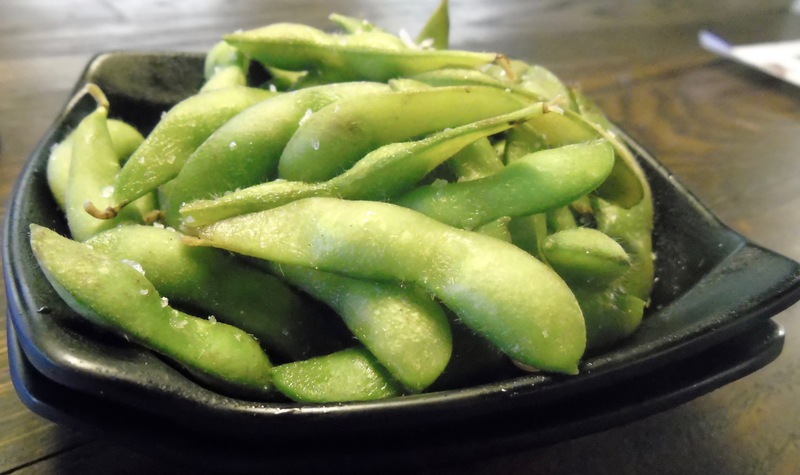 We sat at the counter overlooking the happy busy-ness of the kitchen and munched on some edamame beans (Bites) while we pondered our choices. Some decisions are easy – I mean who can resist Bao? Described as Chinese steamed bread rolls, they can be filled with myriad stuffings. 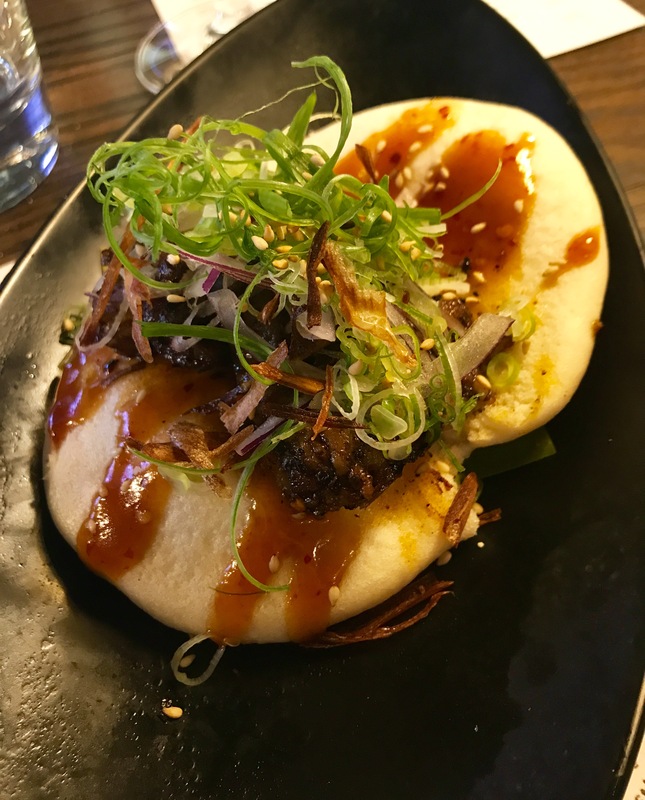 Today we tasted the special offer – Bao with baby back ribs and an Asian barbecue sauce. It’s hard to put the pleasure of eating Bao into words, the rich tastiness of the filling wrapped in a delicate cushion of deliciousness. Kind of like a really exotic sandwich – a taste and texture sensation. 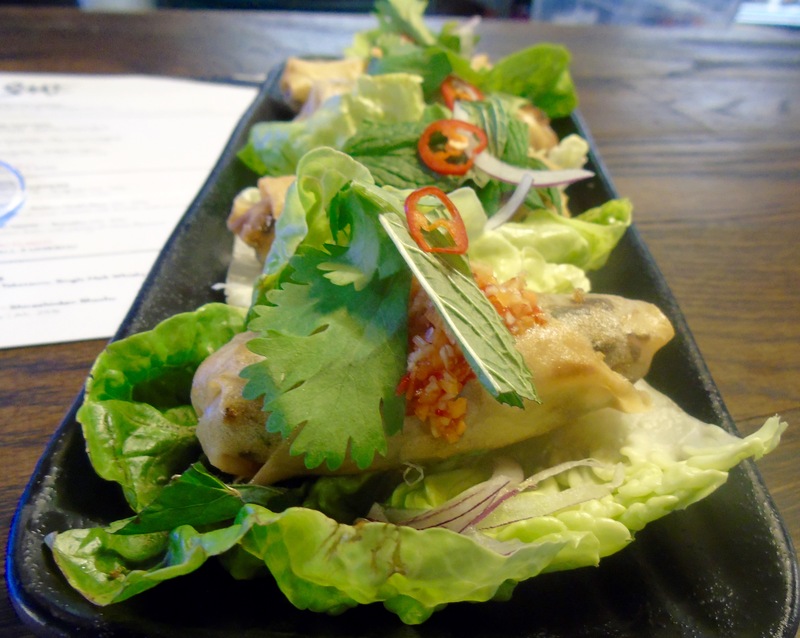 Vietnamese vegetarian Ssam from the Crunch section offered a plate of spring rolls filled with corn, mushroom and noodles, wrapped in lettuce and served with herbs and a homemade sweet chilli sauce. The flavours of Vietnam exploded in my mouth, how I love this type of food. Tuna tataki is one of my absolute favourite dishes. 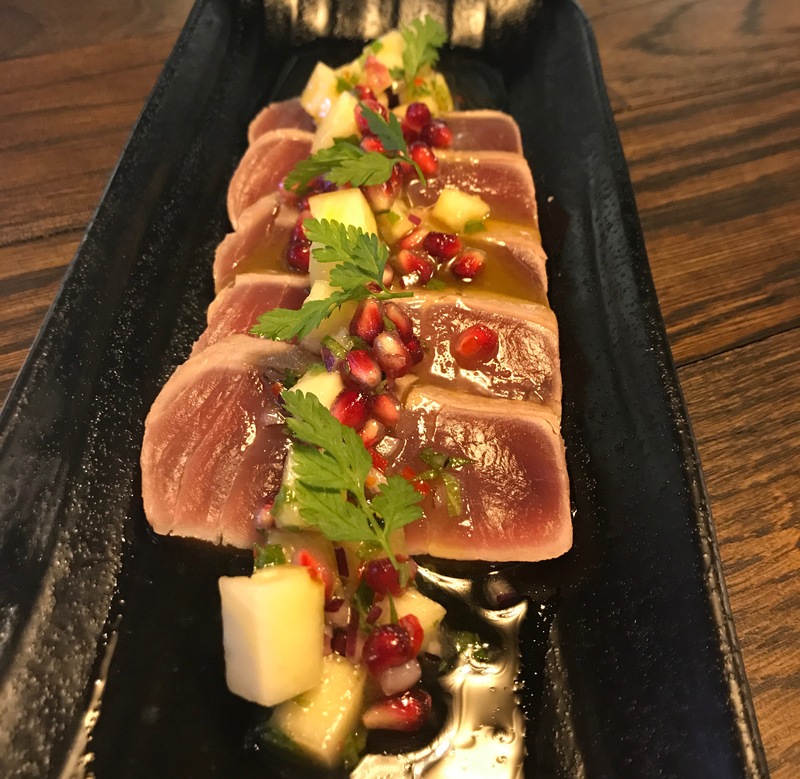 Today’s offering of seared, succulent sashimi-style tuna was served with pickled radish, spring onion and spicy mayonnaise – oh and pomegranate seeds to make it look even prettier. The best way to eat tuna – melt-in-the-mouth tasty. 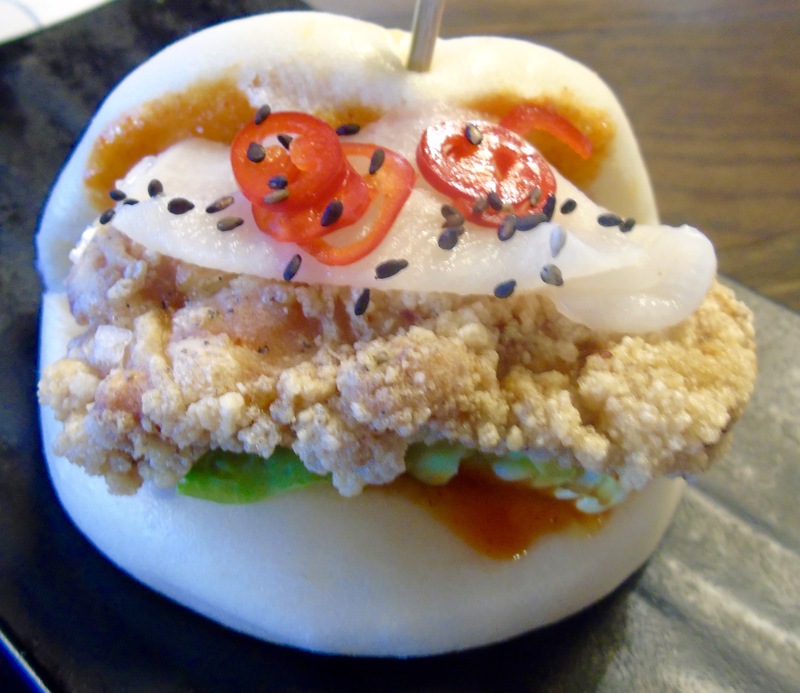 Time for Bao number two – soy and buttermilk crispy chicken served with carolina reaper chilli sauce and daikon pickle. Piping hot chicken in a crispy batter with a wonderful chilli bite from the sauce. I could eat a plate of these. Heading for the Grill ‘n Wok section we had to try the BBQ octopus as we’d seen the chef preparing several portions in front of us and it looked too good to resist. Braised with Sake, mirin and soya and served with a ginger and garlic sauce it was beautifully tender and absorbed the flavours perfectly. 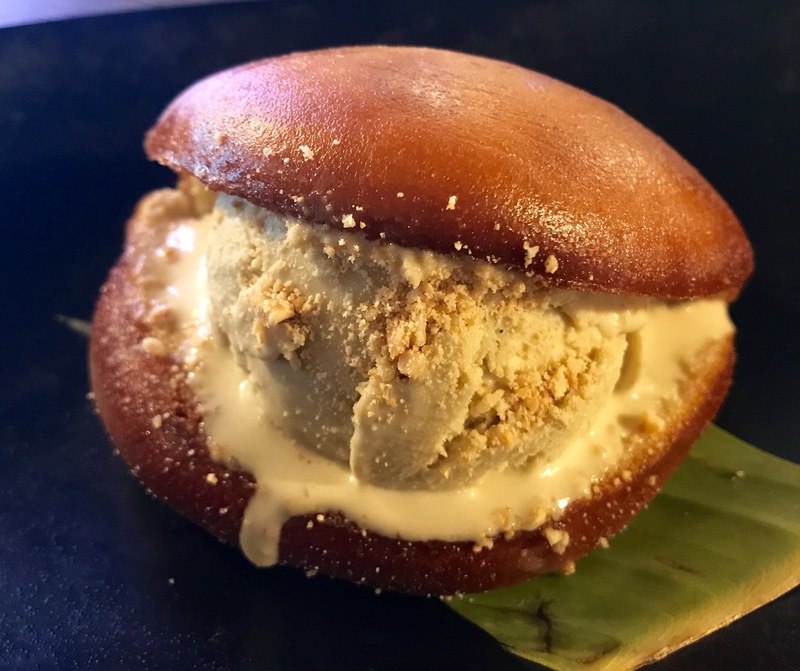 And now for dessert and time to dive into another Bao offering. 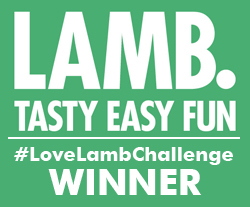 This time the little beauty was deep fried and served with your choice of ice cream. We went for pistachio. A dessert to dream of with its mix of hot and cold, soft and crunchy, creamy and nutty. And doesn’t it look good! Our lunch cost £53 including two glasses of wine. It was a feast of food for two. There is a selection of beer, wine and sake on offer. Yuu Kitchen is at 29 Commercial Street, London E1. Aldgate East is the closest tube station.